These islands had their central village washed away by the Tsunami, except a number of little beautiful resorts up the east coast that was left completely untouched. Tour boats are running again and many bungalows have rebuilt and reopened. What makes this area unique is the amazing limestone cliffs that rise dramatically out of the sea resulting in exquisite beaches to relax. 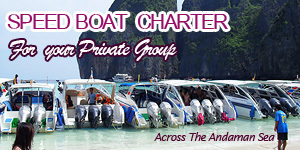 The island group lies 42 km from mainland Krabi and is only 1 hour away from Ao Nang Beach by speed boat. 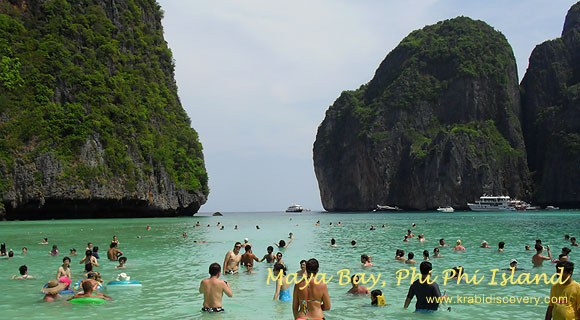 It is composed of 6 islands :Phi Phi Don, Phi Phi Ley, Bida Nork, Bida Nai, Mosquito Island and Bamboo Island. If you’re in Krabi or Phuket, and you shy away from the sun, the sea or even refrain from staying outdoors during daytime, you’re better off holidaying in Timbuktu. Really. Mentally and physically prepared for the imminent tanning, the gals slapped on sunscreen with the highest SPF (sun protection factor) there is in the market. Kind of amazing how their routine of applying and re-applying the lotion took place almost automatically, at fixed intervals. But of course, you’d better be well-prepared, for getting sunburn is NOT the most ideal souvenir you’d want to bring home after a long day out on the seas. 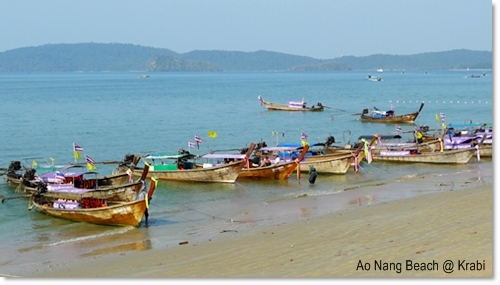 Scuba diving in Krabi is to be found at over 60 sites in the three main areas of Ao Nang’s islands, Phi Phi Island and Hin Daeng. 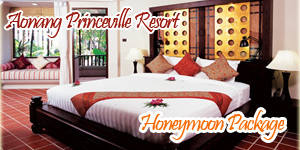 Conveniently, their respective distances from Krabi town serve to indicate the grade of dive.